Looking for a no-surprises moving quote and professional movers with years of experience? Then 3 Men Movers is the moving company you’ve been searching for. We are committed to creating happy and efficient moves (bet you didn’t think those existed) all across San Antonio. Whether you’re moving from an Alamo Heights apartment, a home in Boerne, or a corporate office downtown by the River Walk – we’ve got you covered. Don’t just take our word for it, take a glance at the principles that set us apart from other San Antonio moving companies. Make sure to also check our Youtube channel to learn our tips and tricks for moving. Give us a call at (210) 337-6683 or request a free quote and we will get back to you. Call us at (210) 337-6683 for more information or send us a message and we will give you a free quote. We offer professional packing services that free up your valuable time. No more late nights getting ready for the move, and even better…no more living out of boxes once you’re in your new home – you’ll know exactly where to find your Spurs jersey. We offer the most convenient portable storage on the market. Not only will our crews drop off a MOVITS storage container, they’ll pack it up, and take it to our climate controlled warehouse. MOVITS save you time and energy – now how many moving companies can do that? When you invest in our service we invest in you. 3 Men Movers ensures that you are provided with the smoothest moving experience around. Your “Move Concierge Team” is your personal point of contact, here to answer any question regarding your move, whether that’s when your crew is arriving, or the best packing strategies! Providing you with safe and efficient move is our top priority. We back that mission up with our 30+ years of experience navigating homes of all sizes. Our crews have the know-how to plan out and execute a strategy that is based on your particular needs. 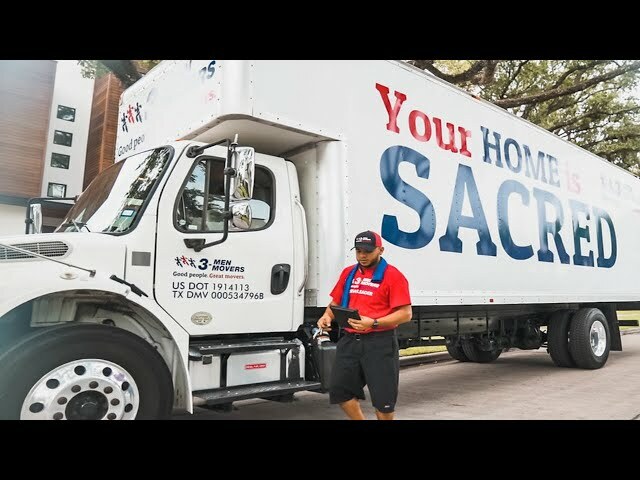 We also ensure that every San Antonio moving crew comes prepared with bubble wrap, blankets, and floor coverings to protect your home and belongings. We proudly serve the greater San Antonio area. Give us a call!